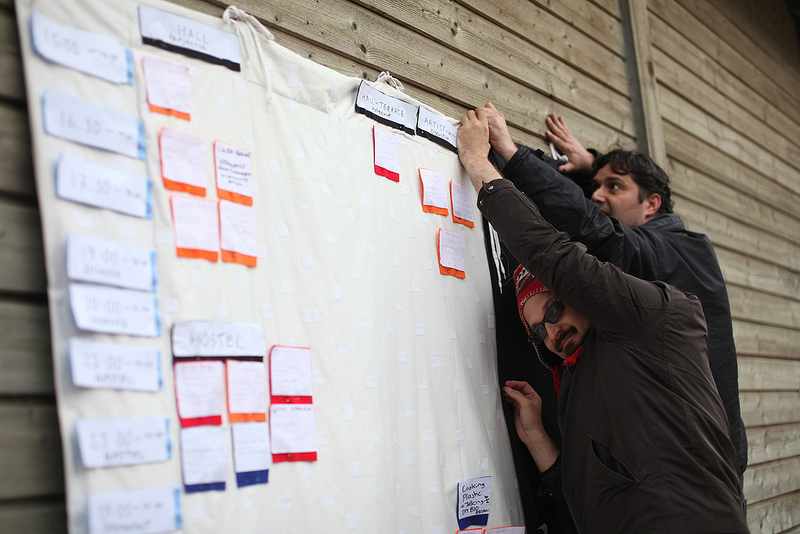 How does an organisation open-source their cultural festival? Can we share the process for organising a festival, so that other groups can use it themselves? How do organisations support activities and events throughout the year? Can we share the process for sustaining ongoing programs, so that other groups can do this too? These are the questions that five experimental art, design and technology organisations from the Pixelache Network are asking themselves and others, and exploring, through a mobile circuit of workshops and seminars organized across Europe during 2013-2015. In the process, Piksel (NO), Pikslaverk (IS), Mal au Pixel (FR) and Pixelache (FI) will gradually be working towards 'open-sourcing' their festival skills and tools to provide them to their UK partner Access Space Network, who will test and utilise them in organising their first major digital culture festival, the closing event of this process. Meanwhile, Access Space Network will share their approach to providing a contuning programme of openness - helping its partners to provide opportunities to learn, create and participate throughout the year. We hope this test implementation will refine our materials to be released for others to use and build upon. We are keen to capture the knowledge embodied in our respective workshops and festival production, and to share this with a broader range of users. The starting point for Open Learning Steps and Open-sourcing Festivals is the context of experimental art, design and technology, and the role of organisations in this field in supporting open learning processes. Open Source and Free/Libre culture, spreading from software and hardware, to urban space and organisational issues, unites the partners; however the different node-organisations also bring together a variety of specialisms. Our common objective to co-produce a digital culture festival together is realised through seven learning steps, taking place in the different partner countries. The project was launched last autumn during Piksel Festival 2013 in Bergen and will travel to Sheffied in the UK next. The website of the project will be made public during the coming weeks.